﻿ Dalat Palace Heritage Hotel (Vietnam) | FROM $110 - SAVE ON AGODA! "That's good place to stay." 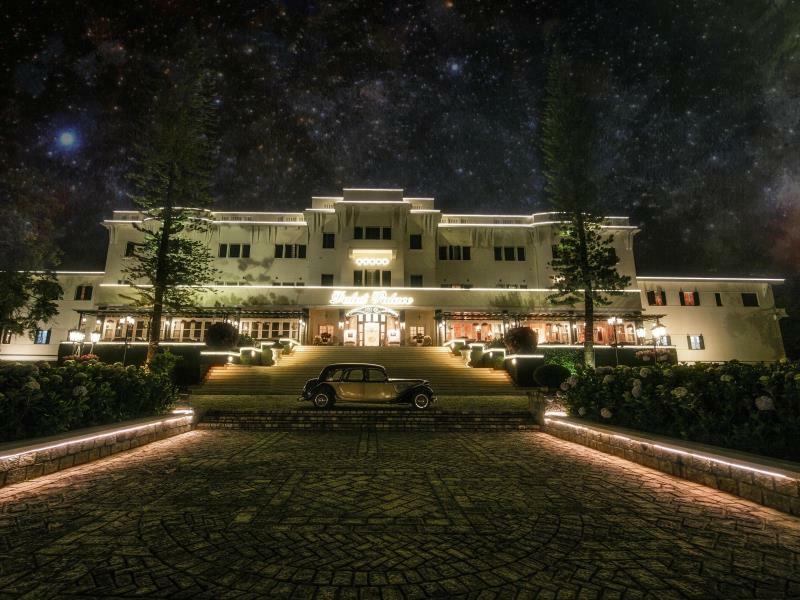 Have a question for Dalat Palace Heritage Hotel? "Well located 5 star hotel, colonial and elegant hotel." "The property is beautiful and was the best part of our stay in Dalat." "Great location and flower with very convenience"
Situated close to the Xuan Huong Lake, this picturesque hotel is spread across five acres of woodland and offers comfortable and relaxing accommodation. The building was originally built in 1922 and still retains some of its character. It offers a peaceful escape from the stresses of city life. Located in the center of Dalat, Dalat Palace Heritage Hotel houses 43 guestrooms and suites with attractive décor and nice amenities including a satellite TV, a reasonably priced mini bar, and air-conditioning. With the emphasis firmly on relaxation, the hotel is home to the new l'Apothicaire Spa, where guests can pamper themselves with a range of treatments. There is also a comprehensive business center with four large meeting rooms complete with state-of-the-art facilities. There are plenty of dining options with The Rabelais, serving the finest French cuisine, and Larry’s Bar, where guests can enjoy a cocktail or three in a fun and relaxing environment. The property does not charge children under 12 years of age if they are staying in a room occupied by parents and using the existing bedding. This is limited to one child per family, however, and additional fees will be charged should parents require a rollaway bed or cot. For children 6 years and below, breakfast is complimentary. For children between the ages of 6 and 11 breakfast is charged but at a special children’s rate, while those above 12 years of age are charged the same rate as an adult. Our room in the central of the Dalat Palace Heritage Hotel that has view to direct the Xuan Huong lake, super nice view (but the breakfast's poor). So we're going to book for next trip (room exclude breakfast). Beautiful large palace with stunning views, however all 3 rooms our family was in had some leaking water issues in the bathrooms. Very nice hotel, but may need some maintenance. Breakfast is nice. Dinner restaurant is overpriced, but the waiters and staff were great. Beautiful old palace with friendly staff. The best restaurant in town. The rooms need a renovation and was too cold without heating. Compare to Hotel Du Parc, where we also stayed, the room was better at Du Parc, to 30 % of the price. But if you go to Da Lat it is an adventure to stay at least one night at this hotel (we stayed three). Hotel has charm and bags of retro style, but falls short of what it should be. On arrival, no staff in sight, and we were left to carry our bags up steep stairs in pouring rain. Bedroom was fine, but bathroom sacrifices practicality and comfort for period style - shower completely inadequate and nowhere to place toiletries. No bar to have a quiet drink, just a dark and seedy basement with earsplitting music. Not recommended. It’s a NOT 5-star service and facility. Interior design is very typical of someone who has the money and power but think they can just do by themselves about everything . When managed by Accord group, it has the int’l standard. Now the only thing left worth considering is its historicity, location., but it was quite noisy as it’s very near the public park where weekly commercial events (with loud speakers) are held. The staff was very nice and able to meet our needs. We stayed two nights and had a private tour arranged within 15 minutes. We had laundry done on the same day. Our only problem was the fact that there were lots of stairs and the bathroom was not handicapped accessible. We had to climb into that bathtub and we just about flooded the bathroom with their shower head. Sorry. The Dalat Palace Heritage Hotel is beautiful. The original building was built in 1922 and it has been restored a number of times. It is a grand old hotel with probably the best view in Dalat. We stayed on the second floor in a spacious room overlooking the lake. It felt as if we were staying in a chateau in France, with tall, thick doors, a foyer, a clawfoot tub, lush curtains, beautiful wood furniture. The room was large and comfortable. My only complaint was the that the air conditioner didn't work very well. Fortunately, the outside temperature was very cool, and during the day we could leave the windows open. But at night, the mosquitos come, so you need to shut the windows and the A/C couldn't keep the room very cool. It would be even worse in the summer time. The fact that the A/C unit is hidden behind a decorative valance makes it even less efficient. Other than that, the hotel is great. Keep in mind that the old building has no elevator! The grounds are very nicely maintained. Lots of flowers with large grass areas. The grand building in the background looks majestic. The new wing just opened Dec 2017. 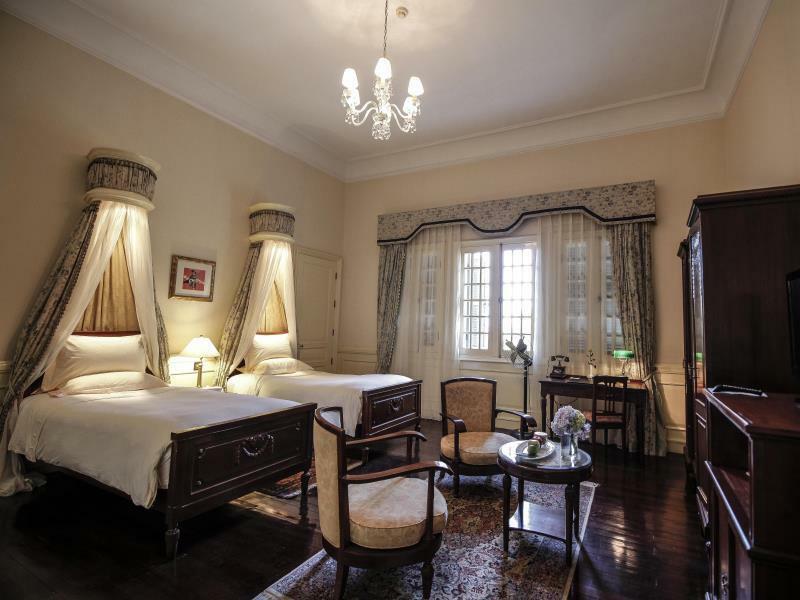 The rooms are very nice and the decor and style match the ambience of Dalat Palace Heritage. Problem is the hot water supply is not reliable. 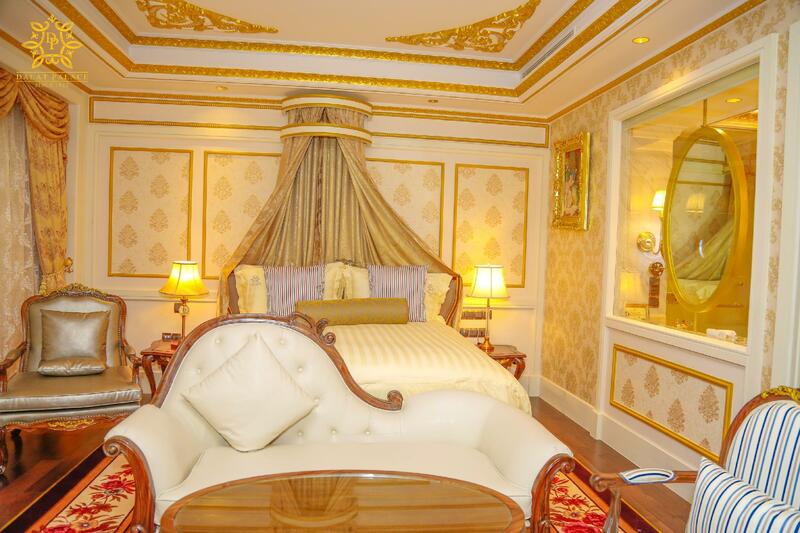 WE felt treated like royalty on arrival and everything in the hotel exceeded our expectations! Sleep was a dream with luxurious beds in quiet extremely comfortable rooms. We were in luxury rooms in the new wing with the lake view. Breakfast buffet is scrumptious and the dining room superb for an elegant impeccable dinner! We love Dalat and look very much forward to returning to this fine hotel!! The hotel was built in 1922. 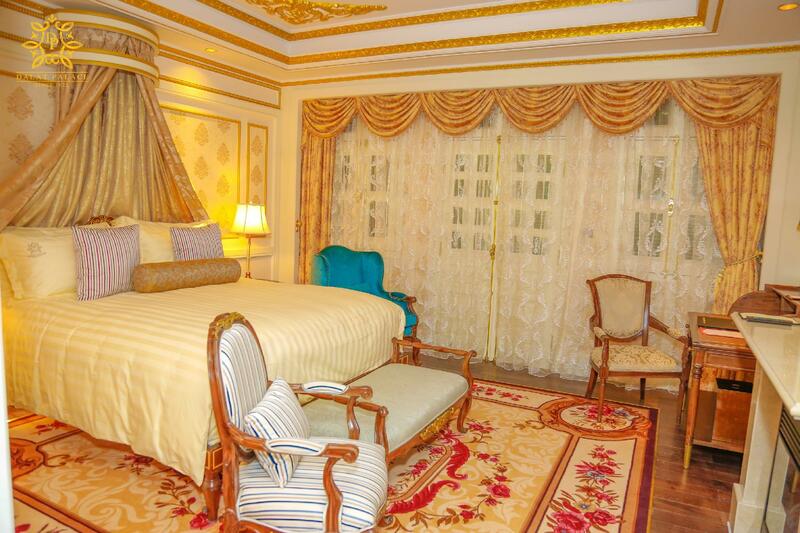 It has no more than 50 rooms with large areas and beautiful garden. The location is really good. It is situated in front of a lake and mountain. Beautiful place ! However the rooms need renovation. The lock on my room was opened by another guest accidentally. It did not feel safe with this. The customer service and font desks are nice and helpful. 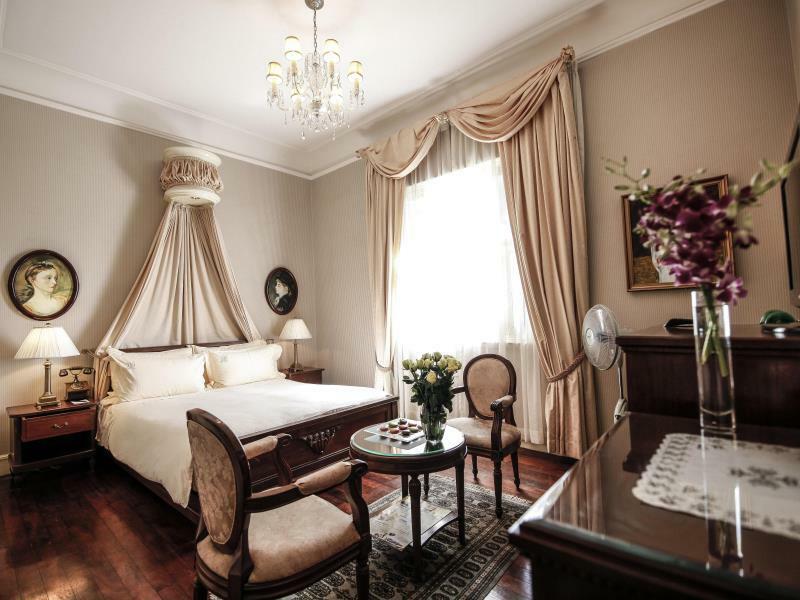 Well located 5 star hotel, colonial and elegant hotel. Breakfast was outstanding with a unbitable view (Garden and Lake). right in the middle of the lovely Dalat City, definitely, I will back to this amazing hotel. Good value if you can pick it up at discount prices ($100/night) or so. There'a a lot of history behind the hotel, and that's nice to experience. Though it was vacant and therefore made the place feel like an abandoned castle. Would be better with more people and just more action inside the hotel. The palace hotel Architecture is quite unique in Vietnam. The design is elegant and exclusive. The staff are great. The hotel surrounding is amazing, especially the scenery towards Dalat. I had some issues with the plumbing. It's quite troubling to have a straight current of same temperature water in the bath. The breakfast is not rich enough comparing to other 4-5 stars hotels in Vietnam. Historic French building was restored to the last detail. Amazing experience ! Even the telephone and bathtub shower was from the 19th century. Hotel staff was friendly and helpful. My room was facing the back of hotel which was very near to the road. So it was very noisy due to motor cycles during peak hours. Otherwise it was OK. I would request for a room facing the front of hotel if I were to stay in this hotel next time. Spent 2 nights with family at the Dalat Palace Hotel. 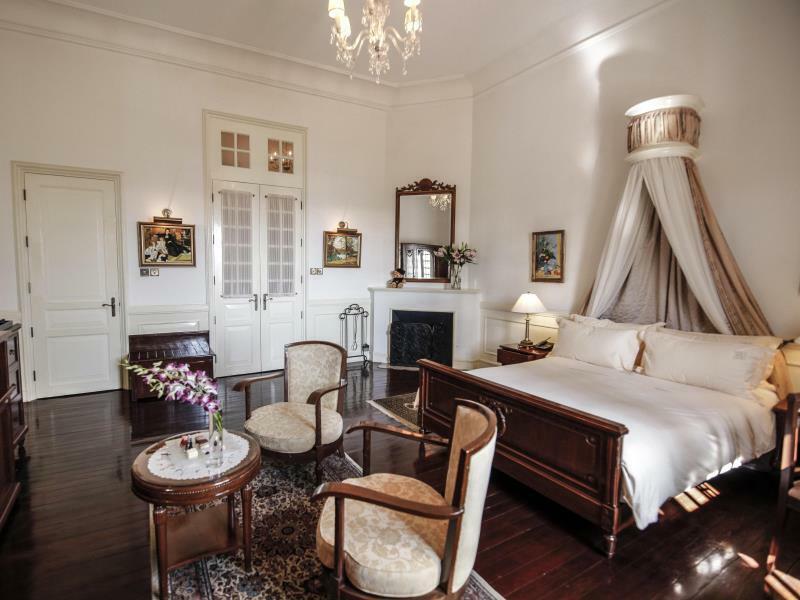 Remarkable preservation of a historical French style hotel in the Vietnam highlands. Staff excellent and ervice are all excellent. 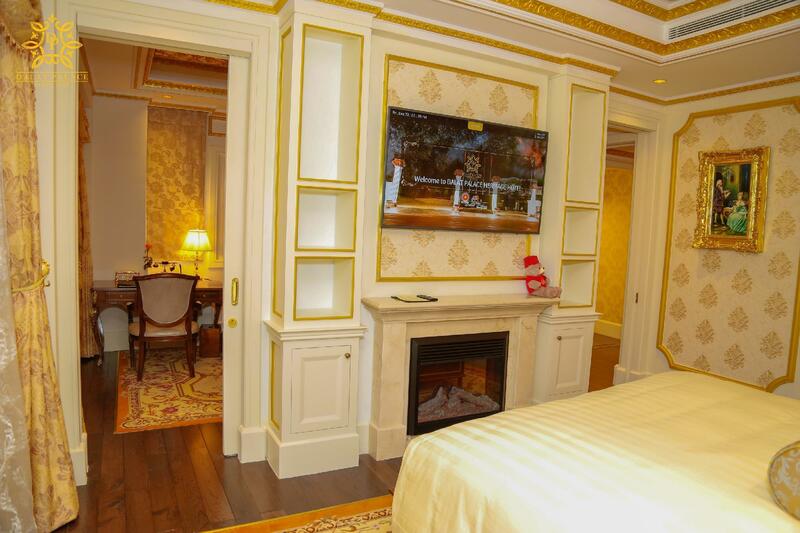 Rooms make you think you are in Europe with high ceilings, hugely spacious, French doors and windows. Seriously peaceful compared to the usual hustle and bustle of Vietnam. No air conditioning, not really necessary at this time of year. No real shower but amazing old fashioned bath tubs. French art throughout. Only 2 dozen rooms. Very private. Great idea. Not cheap, but if you like this style really quite romantic. when i arrive is was stunt with the beautiful french architecture. the exterior is great also interior is beautiful. i can fell the old day how french influence in to vietnam. the quality of furniture is antiqued. nice view you can see lake from your window. it's not far form market you can walk about 10 minute. you will not get tried to walk because the view of dalat is nice.